What is the difference between A4DeskPro and A4Desk? Who should use A4DeskPro software and Flash templates? Do I need to know programming or have Adobe Flash to use A4DeskPro? How to add/ remove the sub menus? Can I add a 3rd levels of menus? Does A4DeskPro support Mac OS? How can I hide unused menu items in A4DeskPro? How to make all the menu buttons aligned? How can I re-download the registered software after formatting my computer? How to build Arabic language website? How do I add more menus or remove menus? 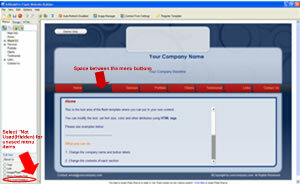 Does the A4DeskPro website builder support Skype, FaceBook buttons and Google Ads? Can I browse a4deskpro website in my mobile? 1. An easy-to-use, Windows-based WYSIWYG application for editing Web-site templates. 2. 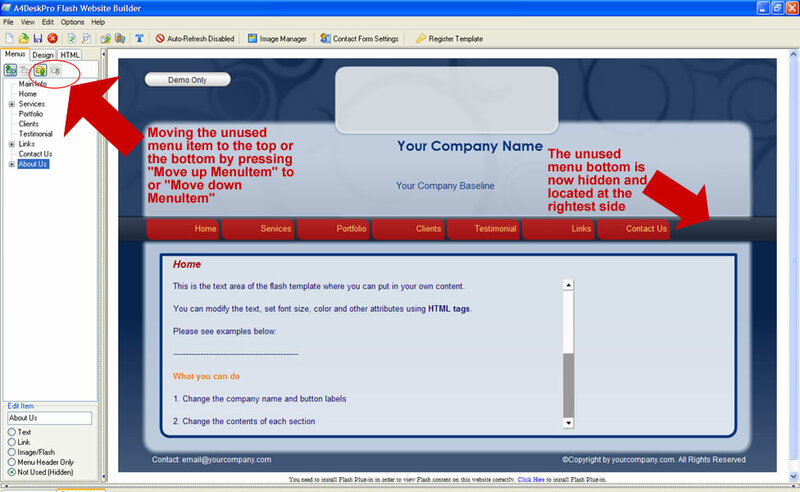 A wide selection of Web-site templates that you may edit using the A4DeskPro software. Download A4DeskPro, and with only a few mouse clicks, you can build a Website using your own images and text. No programming knowledge is required! A4DeskPro is for Webmasters and anyone else who wants to create a website but is just too busy to learn programming. Download our software today, and you are only minutes away from publishing your own Flash website! No, you won't need any programming skills. A4DeskPro is a stand-alone software, it doesn't need to have Flash or any other software to function. To add sub menu, please click on the main menu and right click to "Add Item". To remove sub menu, please click on the sub menu and right click to "Delete Item". A4DeskPro only support 2 levels of menu: Main Menu and Sub Menu. Extra menu levels are not supported. A4DeskPro is a Windows software only. However, the published files are readable in any browsers from Windows, Mac OS or Linux which supports the latest Adobe Flash player. It can be done by pressing the buttons in the tool bar in the left hand side. The Meta Keywords, Description tag can be used to get your page listed under the search engines. Apart from using Meta Tag, relevancy/usefulness of the content and how well your site is linked from other websites are equally important for Google to find, crawl and then index your site. 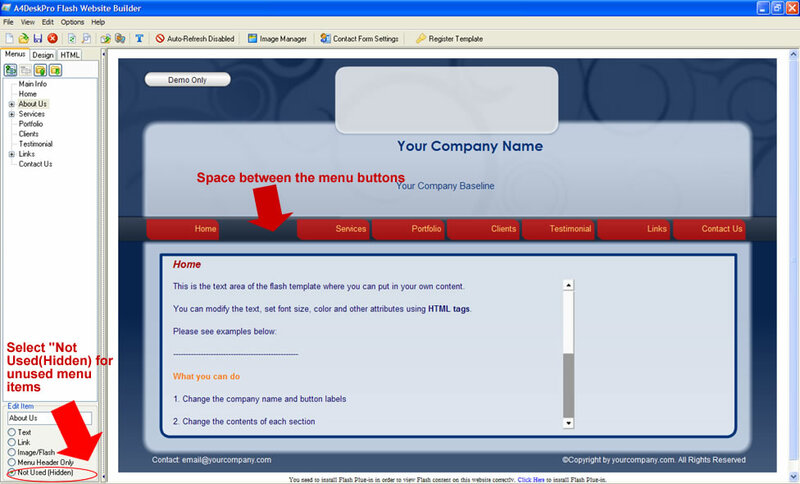 Customization is required for adding more menus, while the customization template cannot be edited via the software anymore. To remove menus, you can only hide it. You may consider placing them in the memo area, which is under the Flash Site. Please refer to this help page for details. Our A4DeskPro sites can be browsed or not in the mobile devices depends on its Flash supportive function.